DE | 2009 | 43 min. DE | 2008 | 43 min. ... based in Heidelberg and Halle is one of Germanys’ leading nature film production companies primarily engaged in the production of TV- and feature-length documentaries. 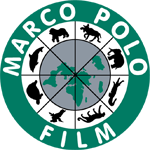 Most of Marco Polo Film AG’s yearly output is realised as co-productions with partners in Germany and abroad with the main focus on high end documentaries for prime-time slots. Furthermore MPF produces series, shorts, 30’ and 60’ one-offs for children's programs, reports and all kinds of nature related magazine programs. Special attention is turned to cross-genre projects connecting different themes, i.e. natural history combined with science, history, adventure and life-style. Great care is taken to deliver in the highest possible technical standards. Marco Polo Film AG was one of the first production companies in Germany producing films in High Definition Formats. “The White Diamond” with director Werner Herzog was one of the first High Definition films for theatrical release in the digital cinemas of “European Docuzone”.